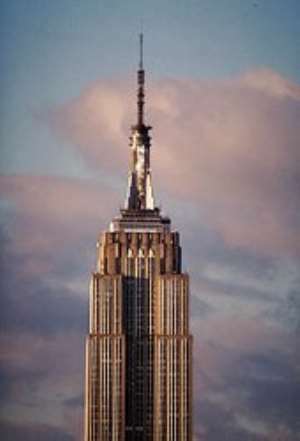 Strange case of Empire State jumper no one knows He chose the city's most famous skyscraper as the place to end his life. But three weeks after a man leaped off the observation deck of the Empire State Building, his absence has gone unnoticed by the world at large and he is still known to police simply as No. 6071. His identity and the personal demons that drove him to suicide are still a mystery. "There have been no missing persons reports, no tips, no phone calls," a detective from the NYPD's missing persons squad told the Daily News. "We're just hoping someone out there knows who he is." The man carried no identification and left no note, and his fingerprints didn't turn up in any databank. Cops only have a few thin clues to go on. His complexion and bone structure led investigators to believe he was probably West African, perhaps one of the immigrant street vendors who crowd Manhattan streets. He was 25 to 30 years old, 5-feet-8 and 161 pounds, and he had a large scar on his left shoulder, said police. On the morning of Nov. 26, he walked into the lobby of the Empire State Building, paid $12 for a ticket to the 86th-floor promenade and took the elevator up. The deck was packed with holiday tourists and no one paid any mind to the man in the black jeans, Timberland boots and black jacket. But he got their attention when he suddenly broke into a sprint, vaulted over the 10-foot-high spiked fence ringing the deck and climbed onto the ledge. For just a moment, he teetered between life and death. Then, looking directly at the horrified crowd on the other side of the fence, he threw out his arms and fell backward into the sky, plunging 1,000 feet. When he landed on a sixth-floor setback on the west side of the tower, he became the 34th suicide in the famed building's history. His $12 ticket for the observation deck was still inside his pocket. Even though the jumper went to great lengths to hide his identity, Dr. Alan Berman, director of the American Association of Suicidology, said the man may have been hoping for recognition by choosing to leap from the grand spire. "People who jump from heights and landmark buildings are making a very public suicide, and there's research data that shows they are psychotic and have beliefs about the kind of media attention they will get," Berman said. "And they're right, because they do get media attention. Unfortunately, they're dead by then. "We call that 'magical thinking' - the idea that 'even in my death I will somehow be able to appreciate the attention.'" The man's horrific death made all the city's papers and TV news shows, but the publicity has shed no light on who he was or why he killed himself. Cops were hoping for a break in the case when a woman called last week and said her son, who is from West Africa, was missing. Detective David Colon of the missing persons squad rushed to interview her, but it soon became clear there was no connection between her son and the mystery man, cops said.